It is easy to make a Will without professional legal assistance - ensure you don't do anything that may render the Will ambiguous or invalid. Here's how . . .
A Will is a legal a legal document which sets out the way your property is to be shared upon your demise. 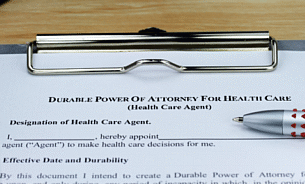 Despite the usefulness of such a document, most people don't know how to make a Will. When you die without having written a valid Will, the rules of intestacy apply automatically. This means your estate (or assets, including monies) is divided in a per-determined manner and this may not reflect your wishes. It is, therefore. imperative you consider long and hard before deciding on how to make a Will that will be legally binding. · Signed in presence of at least two witnesses/healthcare. It is easy to make a Will without professional legal assistance, however, there is some risk of making mistakes while writing the will or during signing, which can render the Will ambiguous or invalid. If you decide on this route, you might refer to online legal sites, or simply or find as estate attorney to take you through the entire process on how to make a Will that will be valid and free from ambiguity. Obviously professional help will cost money. While deciding on how to make a Will, selection of the beneficiaries should be a relatively straightforward procedure unless your family structure is complicated. Be specific about who gets what. If in the case a family member is excluded as a beneficiary, it is also advisable to make a note about that, too. This is the person who will look after your estate after you are gone. The executor will pay all the debts, collect all of your assets and distribute the estate in accordance with the Will. If you choose a lawyer or a bank to act as the executor, the fee for this service is usually a certain proportion (2-4%) of your estate assets. If you opt for a friend or a family member, you should determine the compensation they will receive, since executing the Will can prove to be an arduous and complicated task. If you have children, you will need to ask a family member or a friend for permission before appointing them guardian. If they turn down your request and you're unable to find a substitute guardian, a court will choose the guardian instead. During the signing of the Will, you need two or three witnesses who are not beneficiaries of the will. The witnesses need to be at least 18 years. If the Will is contested in the court, the judge will require the witnesses to testify. If signed incorrectly, a Will can be rendered invalid by a court. Once you make your will, you need to decide where to keep the Will. The original witnessed and signed Will must be produced when you die, otherwise you will be treated as if you died intestate. It is prudent to store the original copy in a secure and fireproof location. · If you acquire new property or expensive assets like a car or parcel of land. All that is needed to write a Will, is the will to write. By writing a Will, you acknowledge you are not immortal and that your wishes will be executed once you exit the stage. FreeWillstoPrint.com provides detailed information on Free Wills, How to Write a Will, Last Will And Testament, Living Wills and more. © 2019 freewillstoprint.com - All rights reserved.